Entry filed under: Uncategorized. Tags: pet blogger challenge. OMG. I was randomly clicking on links on the hop [seeing as how I don’t really have time to read every single one] and it looks like this was my lucky day. Since I don’t see one of those dreadful FOLLOW buttons, I shall just add you to my GR so I can peruse at leisure later. Thank you!!! 🙂 God I hope I’m not woffly! I will check out your blog too. Your dog drawings are fantastic! Boogie is adorable and it looks like you’re having a blast with her. 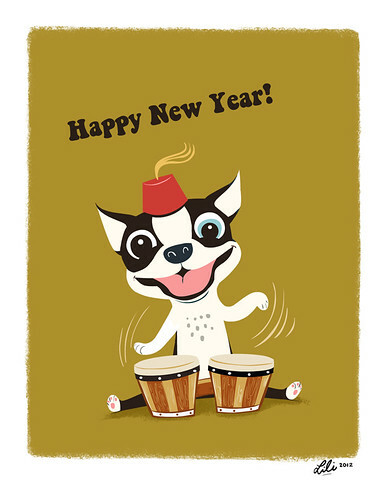 Thanks so much for joining the challenge and I hope that 2012 is good to you. Boogie is adorable, and we love your drawings! Thank you, Amy for the Pet Blogger Challenge! I am so out of the loop on all things pet-blog-related. It’s nice to participate in something that is community-oriented. Happy New Year! I love your pictures of Boogie! Fun to learn about your blog! I agree with everyone else. Boogie is adorable in real life and cartoon life. BTW, switching to self-hosted wordpress is not that hard. I did it and I’m a tech moron. If you ever want to tackle it, or are just curious about what’s involved, drop me a line. Sometimes it’s easier to ask questions of someone who’s not an expert. We don’t use all the crazy words that no one else understands. Oops, almost forgot! 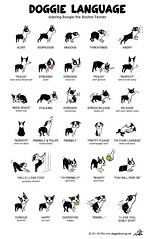 The How to Greet a Dog illustration is the best ever! Hi Pamela! Thank you for commenting & for the kind words. I may take you up on the self-hosting tech info. Would you say that a self-hosted wordpress is higher maintenance? Happy New Year to you too!